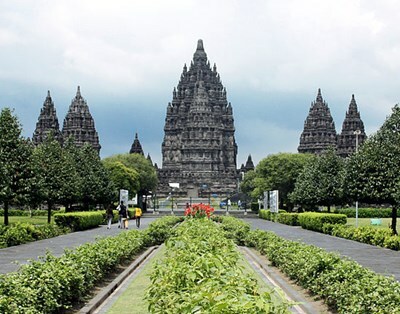 Prambanan is the ninth century Hindu temple compound in Central Java, Indonesia, dedicated to Trimurti, the expression of God as the Creator, the Sustainer and the Destroyer. The temple compound located approximately 18 km east of Yogyakarta city on the boundary between Yogyakarta and Central Java province. The temple is a UNESCO World Heritage Site, currently is the largest Hindu temple in Indonesia, and is one of the largest Hindu temples in south-east Asia. This description uses material from the Wikipedia article on Prambanan and is licensed under the Creative Commons Attribution-ShareAlike License (view authors). 94 people want to do this. 9 people have done this.